Austrian Hebrew poet; born at Zloczow, Galicia, in 1856. After the usual Talmudic training he began his wandering life by journeying to Vienna and Constantinople. At the latter place he met Laurence Oliphant, with whom he spent some time in Palestine, paying a visit to Egypt in the interim. 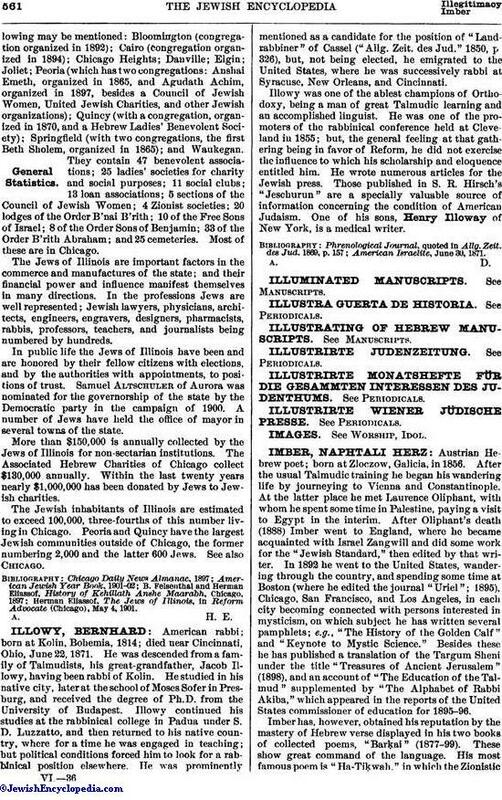 After Oliphant's death (1888) Imber went to England, where he became acquainted with Israel Zangwill and did some work for the "Jewish Standard," then edited by that writer. In 1892 he went to the United States, wandering through the country, and spending some time at Boston (where he edited the journal "Uriel"; 1895), Chicago, San Francisco, and Los Angeles, in each city becoming connected with persons interested in mysticism, on which subject he has written several pamphlets; e.g., "The History of the Golden Calf" and "Keynote to Mystic Science." 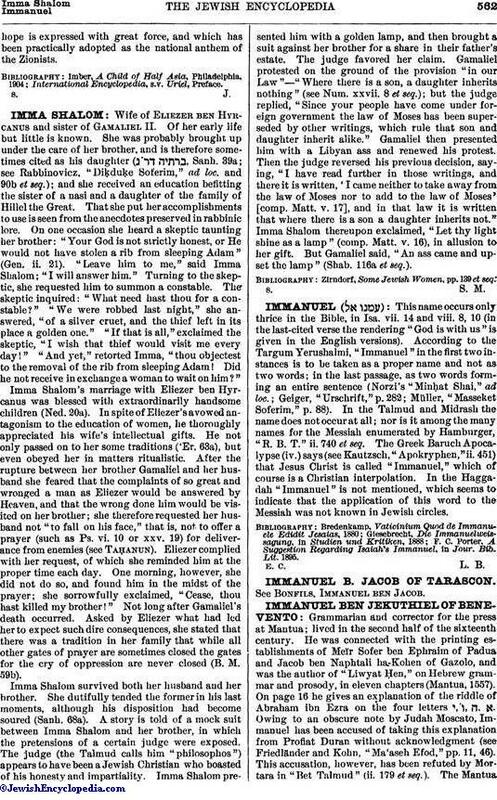 Besides these he has published a translation of the Targum Sheni under the title "Treasures of Ancient Jerusalem" (1898), and an account of "The Education of the Talmud" supplemented by "The Alphabet of Rabbi Akiba," which appeared in the reports of the United States commissioner of education for 1895-96. Imber has, however, obtained his reputation by the mastery of Hebrew verse displayed in his two books of collected poems, "Barḳai" (1877-99). These show great command of the language. His most famous poem is, "Ha-Tiḳwah," in which the Zionistichope is expressed with great force, and which has been practically adopted as the national anthem of the Zionists. International Encyclopedia, s.v. Uriel, Preface.